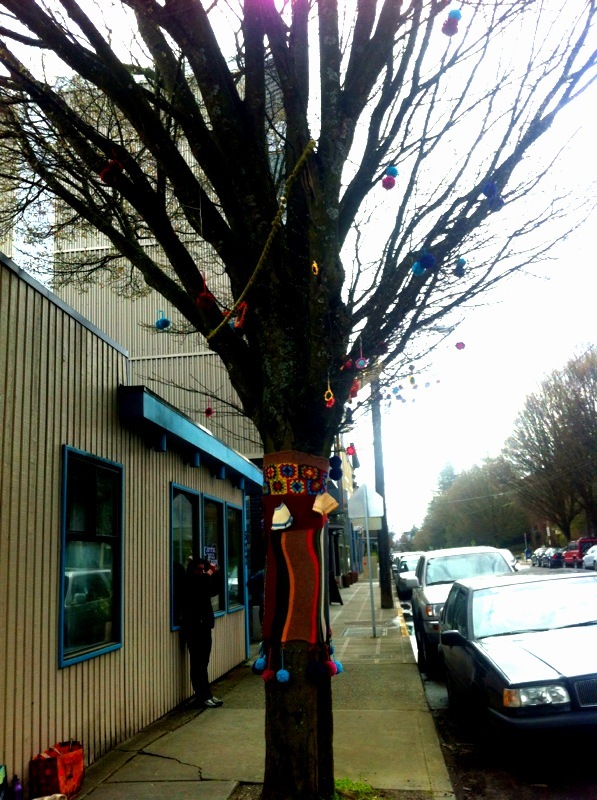 The knitters have been getting busy on 19th Ave E. Thanks to everybody for the notes about the guerilla craft art currently on display along 19th Ave E near Thomas and the Country Doctor Clinic. Most everybody loves a good yarn bomb. It’s subversive without being mean, hasn’t been subsumed by the corporate powers that be (I’m talking to you, flash mob), reclaims the public space for art without lasting damage and puts accesible craft on display for everybody to enjoy. The Hill has been the lucky recipient of some more creative street art this spring. Earlier, we thanked the rainbow zip tie crew. And, yes, we like the ubiquitous wizard of odd we see around, too. If you’re responsible for this latest threaded act of civil disobedience, take a bow. Also, CHS needs a new crow knit cap. I think the Wizard signs may be posted all over the city as I saw one near Mission in West Seattle. 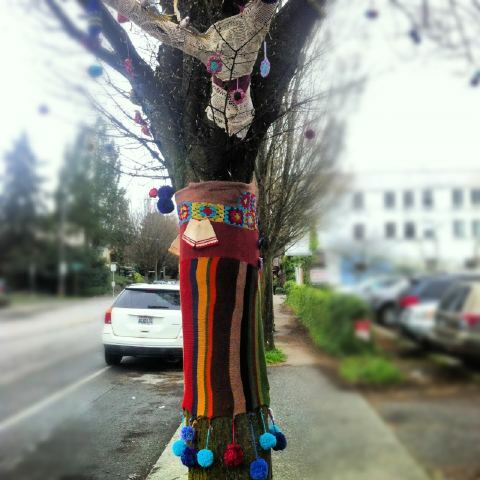 Yarn bombing makes my day. Love it too! Nice to see Karen is keeping in touch too. as much as I love this “gorilla” art, I don’t know why bomb has to be used to describe this beautiful display. just kidding. Loving it from St. Louis! :) GORGEOUS! Love the birds!